PHILIPSBURG:--- As we go through this Easter season, I pray that each of us takes some time to reflect on the mercies of Our Almighty God and the loving kindness extended to us through the life, death, and resurrection of His Only-begotten Son. Knowing that in Our Saviour, we have a living hope, we can walk in that faith into a brighter future. While we commemorate the Messiah’s death, burial and resurrection, we can liken our island’s recovery process to His passion. As a country, we passed through one of the worst devastations in September 2017. Life, as we knew it on our beautiful island, ceased to exist for a time. Months of economic darkness entombed us. Yet, as we work together, united and focussed, we have seen the breakthrough to a time of renewal on Sint Maarten. It is still early in our recovery, and sometimes it may seem as though this renewal is a figment of our imagination. But as God is real and Jesus lives, Sint Maarten too is rising and rebuilding to a better, more sustainable development. We must continue in our commitment to reset and rebuild with unity of purpose and a focus on our goals. As you spend some time this weekend with loved ones, family and friends, may your time be peaceful and pleasant. Should troubles come, seek to resolve them without violence. Let us teach our children that we can choose to walk away from fights, pursue a path of peace, and offer forgiveness as much as we pray for forgiveness ourselves. On behalf of the Ministry of Education, Culture, Youth and Sport, I wish you a Happy Easter! PHILIPSBURG:--- Following the Easter weekend, we will go directly into the celebrations of the 50th year of Carnival. As these festivities generate much economic activity and tourism, most of its governmental oversight comes from the Ministry of Tourism, Economic Affairs, Transport, and Telecommunication. 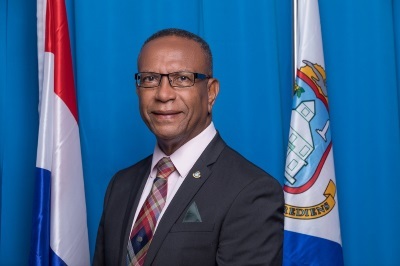 However, Carnival is established as an aspect of our Sint Maarten culture, and for that reason, as Minister with responsibility for culture, I have worked with the Department of Culture to expand the cultural content of these celebrations. On Sunday, April 28, 2019, the Sint Maarten Carnival Development Foundation (SCDF) will present the Children’s Parade, combined with a Cultural Parade supported by efforts of the Department of Culture. In past exploratory conversations with SCDF on ways in which there can be more collaborations between SCDF and the Department of Culture, it was decided that the department would expand the cultural presence in Carnival. Last year, it was established that the Department of Culture would assist with building a cultural showcase in collaboration with the SCDF. This year the collaboration has been broadened to include both a Cultural Parade and Cultural Night showcase. The Children’s Parade has been augmented to include a cultural presentation. Several associations have registered to participate in the cultural parade. These include Indian Merchant Association, The Guyanese Association, Fundación Semana Dominicana, Guadeloupe Jeff Locomotive, and Funtopia. It is important for us to showcase our heritage during these weeks of festivities and I look forward to the displays from all the participants in this Cultural Parade. To ensure that we all can enjoy the different events and activities planned, I encourage everyone to practice safety first. Wear seat belts while driving. Do not drive if you are under alcoholic influence. Be mindful of the age limit for events, and do not have minors exposed to adult activities. Parents, safeguard your children. Ensure that proper supervision is in place for all children, whether at home, at the beach or at a parade. When the parties are over, and King Momo is burnt, may we all be able to speak of this year’s celebration with gladness, filled with pleasant memories and ready to plan for making the next 50 years of Carnival that much better than before. I look forward to continuing to expand the celebrations of our culture and the quality of the Sint Maarten product that more of our local artists can start headlining the shows both at home and abroad. Remember, when we UNITE and FOCUS, together we will reset, rebuild and restore our Friendly Island home. 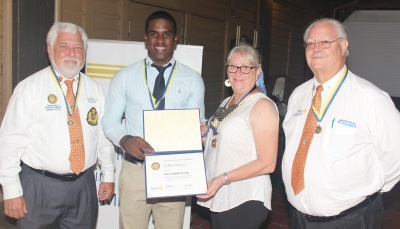 PHILIPSBURG:--- It was with great pleasure that The Rotary Club of St. Maarten-Mid Isle recognized Ki-mani Olivacce with a Paul Harris Fellow for his work in the community with his initiative of the ‘Back to School Drive’. Ki-mani started his ‘Back to School’ drive in 2016 when he saw students going to school without school bags and supplies, and decided to help with getting them the supplies they needed for school. In 2016 he donated 300 school back packs, in 2017 he donated 350 back packs and in 2018 he donated 400 back packs and this year 2019 he would like to donate 500 Back packs. These back packs he splits into three sets: One set contained notebooks, highlighters, scientific calculator, geometry set, compass, ruler, sharpener, eraser pencils, pens, pencil case and an agenda for high school students: the second set contained compositions books, ruler, colored pencils, pencil case, eraser, sharpener, pencils, pens, an agenda, a binder with paper for elementary students and the last set for kindergarten children contained crayons, coloring books, pencils, lunch kit, and a small reusable water bottle. Over 1,000 students have benefitted from his initiative. Mid Isle feels very privileged and proud to have been a part of ki- mani’s ‘Back to School Drive’ initiative. To help kick start his initiative this year Mid Isle presented Ki-Mani with five pack packs donated to thems by ‘Friends in Action’ and other school supplies donated to them by the KI Britannia foundation. 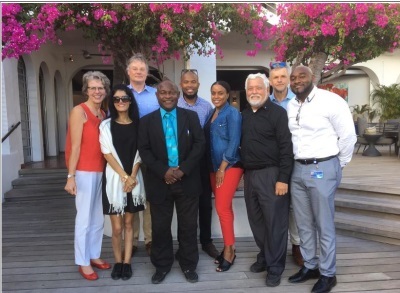 PHILIPSBURG:---- The NV GEBE Supervisory Board of Directors is pleased to announce completing a 3-day interactive training program on corporate governance provided by Nationaal Register on April 4th, 5th, and 6th. Completing the corporate governance training program was an important objective of the Supervisory Board since the appointment of 5 new members to the Supervisory Board late last year. The course provided a theoretical and practical based knowledge on good governance and corresponding themes with day to day practice in a supervisory board dynamic with its dilemmas and casuistry. All the Supervisory Board members completed the course successfully and received a certificate being aware of their responsibility for good governance. PHILIPSBURG:--- The overall winner Crystal Coombs of Cocomoods Concepts of the St. Maarten Chamber of Commerce & Industry (COCI) ‘Business Pitch to Seatrade’ who was one of three businesses selected to attend SeatradeCruiseGlobal Conference & Expo, says the aforementioned was an eye-opening experience. SeatradeCruiseGlobal is the cruise industry’s most significant worldwide event that presents the opportunity to promote the island and the business community. The conference attracted approximately 11,000 attendees. Cocomoods Concepts of Crystal Coombs was created September 1, 2018. “My journey to the Global Sea Trade in Miami was a wonderful experience! The entire St. Maarten team made me feel so at home. It was very well organized and executed. I would like to thank the Chamber of Commerce for the opportunity to visit the Global Sea Trade in Miami. 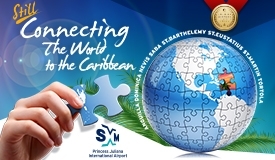 “I have had the opportunity to promote St. Maarten, meet fellow representatives and network with businesses from all over the world including St. Maarten. There were sessions and workshops we could follow to gain experience and knowledge. Taste the cuisine from different countries and islands and also learn about their cultures. “It was very eye opening to see the corporate world from a different perspective. Outside of the trade there was also a lot of opportunity to network and promote your business. I feel this was an awesome idea to include the businesses of the island. 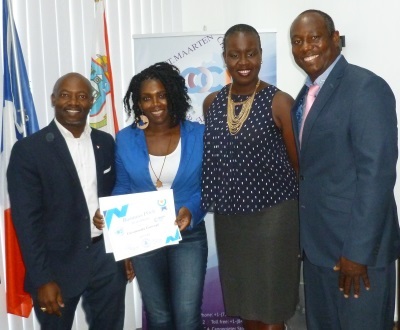 “There was diversity; The Tourist Bureau, The Harbour (Port St. Maarten), Chamber of Commerce and local businesses with different aspects that could represent St. Maarten in different ways. A great learning experience and a great push into the deep. “I hope there will be more opportunities for entrepreneurs like this in the future. This is the experience we are waiting for but sometimes it doesn’t arrive unless you can afford to get there yourself. Sometimes it’s the support we need from our own to push us further. 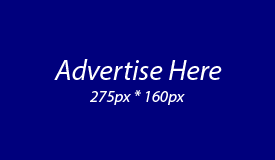 “It’s nice to get feedback, advice, ideas from people you don’t know. It’s definitely a step to take. Definitely something to invest in for the following year,” Crystal Coombs stated. SeatradeCruiseGlobal was held from April 8-11 at the Miami Beach Convention Center. COCI Executive Director Anastacio Baker explained that the ‘Business Pitch to Seatrade’ was part of the Board of Directors initiative in giving back to the business community as part of the Chambers 40th 2019 anniversary celebration in stimulating business activity and innovation in a challenging economic environment post-Irma/Maria. 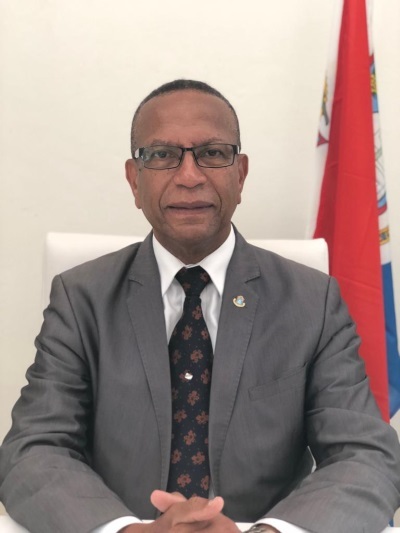 President of the COCI Board Benjamin Ortega, said the 40th anniversary of the Chambers existence demanded a new approach in doing business and the initiative of ‘inclusion’ was born looking at the next 40-years and into the future where Sint Maarten’s business community is concerned in providing innovative ways and means of promoting the economy of the island. The two other winners of the COCI ‘Business Pitch to Seatrade’ were VooDoo Entertainment, headed by General Manager Paula Daal-Dono and Yoda Guy Movie Museum Foundation headed by Director Nick Maley.